Celebrate Hela-ween this year in honor of Marvel Studio's newest movie being released on November 3: THOR RAGNAROK. 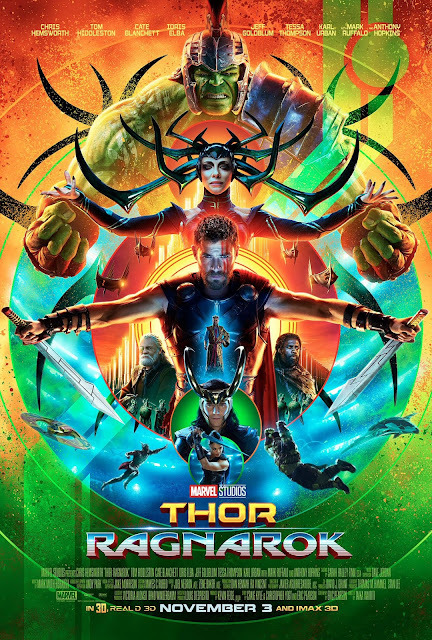 In this third movie featuring Thor within the Marvel cinematic universe, Hela the goddess of death breaks free from her ancient imprisonment by Odin the king of Asgard. She is now intent on getting revenge and becoming ruler of everything within the universe. Attempting to stand in her way, Thor finds himself imprisoned in a deadly gladiatorial contest that pits him against his fellow Avenger and former ally ... The Incredible Hulk. Without the assistance of his mighty hammer Mjolnir can Thor avoid being smashed apart by the Hulk. Will Thor be able to break free from the Contest of Champions to prevent the all-powerful Hela from destroying Asgardian civilization? Make sure to see THOR RAGNAROK on the big screen when it arrives at movie theaters on November 3, 2017 to find out! Hela is a master of carving people up in THOR RAGNAROK. 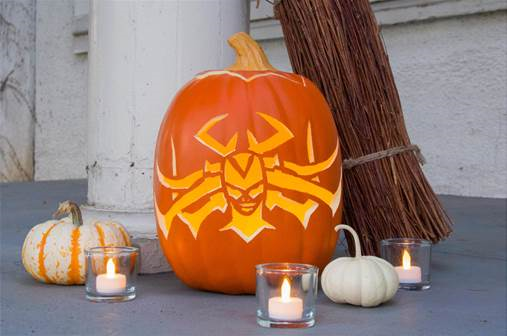 CLICK HERE to download a pattern to help you carve your very own Hela jack-o-lantern. This pumpkin stencil from the Disney Family blog makes for a great way to decorate your front door for Hela-ween. This is no trick! Make yourself a treat that looks and tastes great with these Mjolnir candy apples. My family loves candy apples as a fun autumn snack and this recipe is a really marvelous idea that ties into the release of the THOR RAGNAROK movie. CLICK HERE to read the full recipe.